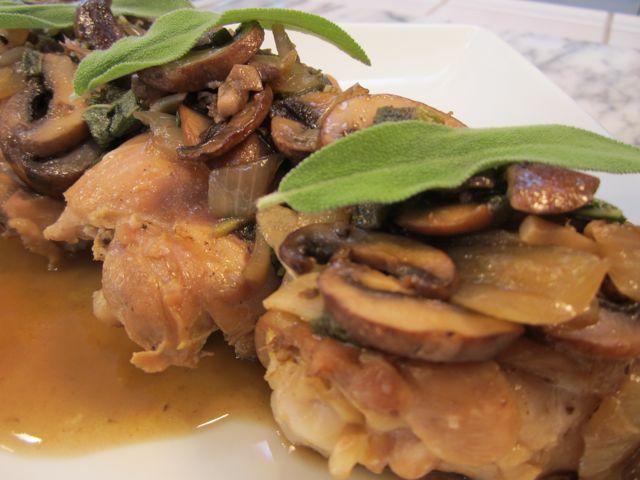 This entry was posted in chicken and tagged chicken, juicy, mushrooms, sage by elena. Bookmark the permalink. This was easy to make and so delicious I’m going to make it for my Mom’s 90th birthday party! We used almond top (Agaricus augustus) and shitake mushrooms and the mushroom/onion/butter/olive oil was the best part.